It all started innocently enough. I had gone to the dentist and later that day went to my small group. I happened to mention my dentist visit before the meeting itself began and people started telling dentist horror stories. So I said, “Let’s make that our icebreaker question this evening, ‘What’s the worst experience you have ever had at the dentist? '” Big mistake! This was an intergenerational small group and as each adult told their horrific and painful story, the look of terror in the children’s eyes, some who had never been to a dentist before, grew greater and greater! Oops! Besides terrifying small children, I’m sure I made some parents’ and dentists’ lives more difficult that day! That’s not the worst icebreaker question I’ve ever heard, however. A friend related to me that in his small group, the leader once asked, “What is the biggest secret you have ever kept from your spouse?” An intriguing question, to be sure, but your typical small group is not the place to ask this. One person’s honest answer totally shocked their spouse and actually led to their divorce. I doubt if that was what the small group leader was aiming for. What makes for a great icebreaker or opening question? Use a question that can be answered easily, fairly quickly, and that invites your group members and guests to get to know one another better. Avoid questions that create a negative atmosphere. I’m not saying every question needs to be cheery. You can ask, “What has been a recent disappointment in your life?” Or, “What has been a recent high point and low point for you?” But don’t use questions like, “What is the worst vacation that you have ever taken?” Or, “Tell us one thing you really hate about your job.” You are wanting to pull people together, not create a bad vibe! 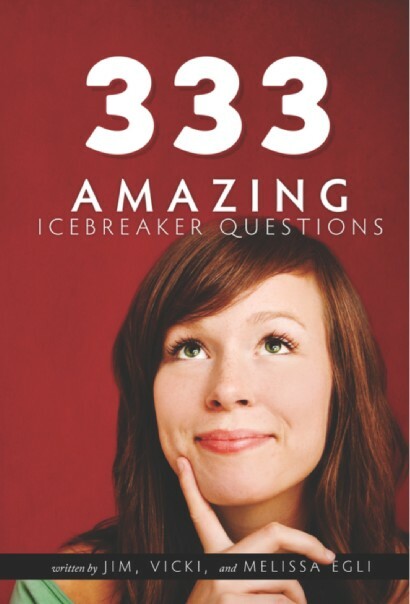 To share my favorite icebreakers with you I’ve added an icebreaker page to this blog where I’m posting great opening questions for you to use. Right now there are dozens of them listed; by the end of the year I’ll have posted hundreds. To make it easy for you to find just the right one, I’ve designed the page so that they can sorted by depth (light, deeper, deep), by category tags, or by ratings. You can suggest your own great icebreakers by adding ones in the comments and I’ll post new ones from there. Check it out and rate a few questions while you are there. Also, I’ve posted a lot of free small group resources and articles at Small Groups, Big Impact. Just click on the “resource” tab at the top of the page. What is the worst icebreaker question that you have ever asked? What thoughts do you have on choosing great questions to open a small group meeting?